In the wake of active social cause engagement that has recently taken over the world, companies have started feeling a strong pull towards social causes. They have started showing their interest by community involvement and employee volunteering programs. As found out by Deloitte’s “2017 Volunteerism Survey”, nearly 9 out of 10 (89%) working Americans believe that companies that sponsor volunteer activities offer a better overall working environment than those that do not. 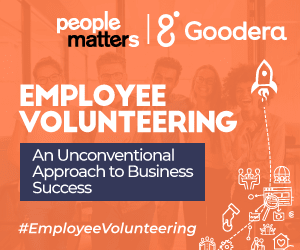 In fact, 70 percent of respondents say that volunteer activities are more likely to boost employee morale than company-sponsored happy hours, and 77% say that “volunteering is essential to employee well-being”. Now that it's established that volunteer programs are good for the employees, they are surely problems that arise while doing so. In an event by People Matters, CHROs got together and identified four major problems and the solutions to them. Anila Rajneesh, Senior Vice President, Head HR, Fino Pay Tech said, “If we have to get started, we have to link it with a sense of purpose. Link your purpose with the business you are in and show it to each of your employees. Values are something that binds the entire organization, so you should connect the values that an employee holds with a certain cause.” For example, if one of the values that an employee carries is empathy, take that value forward and see how everyone in the organization can take it ahead. Companies’ volunteer programs should serve as a platform for them to express their values and work towards it. One more important aspect to consider is leadership buy-in. Once this has been established, it is easier to create a framework and have employees who pro-actively take up causes and start participating. To get everyone onboard, companies can begin by dedicating one workday in a quarter where everyone has to compulsorily participate in a volunteer activity to get the feel of it and then work towards sustaining them. To sum up, follow the ACP (Awareness, Connect and provide a Platform) policy. How do we sustain employees in volunteer programs? Communication: We need to inform and educate the employees about what is in it for them and what is in it for the society at large. Communication also mainly includes the right kind of leadership buy-in. 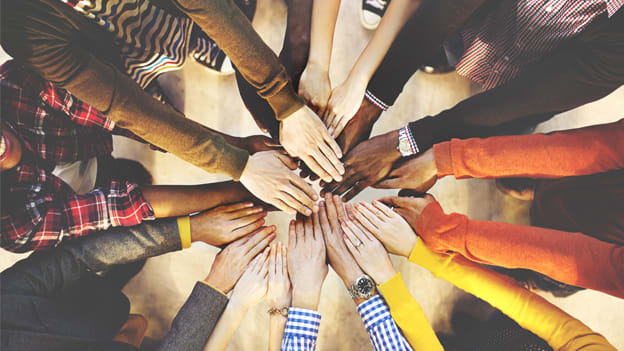 Collaboration: Volunteering shouldn’t be made as an imposing program that everyone is forced to do but rather a collaborative activity across the organization. Build a core community of 5-6 people from various departments so that the ideation and execution is done seamlessly. Alignment: Have a very structured framework because ultimately, you’re not a philanthropic organization but a profitable one. So you need to have a strong business game along with giving back to the society to move sustainably. Sustainability: To make it continuous, you need to share success stories and experiences of the employees who have participated earlier. Experiences are way more contagious than numbers. Secondly, build a solid reward and recognition program. How do we design a wonderful experience? Mayank Jhaveri, CCA & Regional Training Head, Shoppers Stop, explained that in order to create an experience, a bouquet of choices for employees is something that the companies need to work upon. Begin with creating meaningful opportunities for your employees. Make sure people focus on what’s in it for them rather than the organization, so the event becomes more personal and they can connect better. Secondly, everyone loves glamor, so it’s imperative to package the event in the right way. The communication has to be very sharp, colorful, bright and it needs to resonate and bring about the glamour and pride for the employee, so they are motivated to participate in it. Thirdly, a lot of people look at input vs output; volunteering is something that does show output. For example, if a person is teaching a kid, the improving grades serve as an output that keeps them motivated. What are some policy considerations that we need to account for? Policies need to be transparent and engaging for the employees to come onboard. One of the major issues companies face is in deciding whether the policy framework should be made by the company or leave it open-ended, build ideas around it and then execute it. The solution to this seems to be creating a balance between the two by taking a top-down approach. The policies framework should be around the goal of the organization’s mandate with flagship events that are conducted throughout the year. Also, considering the theme and then building broader perspectives around it becomes crucial. Make sure to have a proper tracking system in place as well. While there may be a list of other problems, these are some major ones that companies can address and overcome in order to build a good volunteer base.